Get in touch with us today for a tour before it is Sold! Calling ALL Developers & Builders! See this amazing parcel nestled in the beautiful Temecula Valley Wine Country. Whether you choose to build your Estate Home for personal use /Subdivide it for investment, either is an amazing opportunity. Parcel is in Citrus/Vineyard/Equestrian region of Inland Empire of SW Riverside County. Zoning Designation (RR) Rural Residential and Classification (R-A-20) Rural Agricultural/20ac. Minutes from premium wineries, award-winning vineyards, estate home ranches. Area has become known as destination for Wedding venues, Winery tours, A-List concerts, Hot Air Balloon festivals, Golf adventures. Minutes to Old Town Temecula, Western themed Historic buildings and annual Rod Run, Vintage & Antique boutiques, Award-wining restaurants, you will never want to leave. Pechanga Resort and Casino, minute’s down the road from property, is the largest casino-resort on West Coast with 1,090 AAA Four Diamond rooms & suites. Championship Golf Course & Journey’s End w/fine dining after enjoying 4.5 acre tropical pool complex, life can't get better. 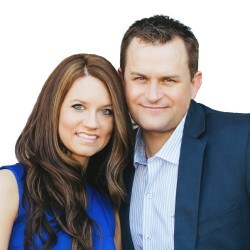 Within the Temecula Valley School District, surrounded by upscale new tract housing. The planned development of Anza Road's future extension, connecting Temecula Valley Wine Country from the east side of region to Pechanga Parkway on the west side of Temecula Valley, brings together community life perfectly, which is also minutes from the I15 freeway connecting easy access between San Diego and Los Angeles. Pro photos coming soon! Welcome home to Sweetwater Ranch where you will find outdoor entertaining at it's finest! With the saltwater pool & spa (w/removable fence), the outdoor BBQ kitchen (natural gas), the Alumawood patio cover with ceiling fans, misters, & retractable shades, staying cool in this backyard is not a problem. And there is still room for your kids to play on the grassy area on the side yard. Your RV will be secured in the other ample side yard with vinyl gate & 50 AMP electrical. Step inside to find a very clean home with wood look tile, Plantation Shutters throughout, custom built-in entertainment center, upgraded baseboards, wrought iron banister, a beautiful kitchen with walk-in pantry, stainless steel appliances, granite counter tops, and pendant lighting over the island. There is a bedroom & bathroom downstairs for guests or family, a loft upstairs, along with upstairs laundry for the ultimate convenience. The master bedroom is spacious with a walk-in closet, his & hers sinks in the gorgeous master bath along with a separate soaking tub. Other features include an oversized driveway, fully finished 3-car tandem garage w/overhead storage, mature landscaping, X-mas light ready, & landscape lighting. Low HOA! The living is easy here at STUNNING 31859 Corte San Pablo, a home designed to fulfill an entertainer's dream! Located in the French Valley Community, this immaculate home is turn-key, & perfectly suited for family life as it offers a spacious floor plan & is located in the award winning TEMECULA school district. This 3,374 sq foot residence has absolutely exquisite indoor living space complimented by spacious outdoor living space. Enjoy family & friends in your resort-like backyard complete with SOLAR HEATED sparkling pool, built in spa & BBQ island, mature trees & established vegetable GARDEN! The innovative floor plan is designed for entertaining with ease & elegance. Need storage & space? This large kitchen is the one, with cabinets galore, including an island, huge walk in pantry, butler's pantry, & built in desk. This home boasts 5 bedrooms/4 baths, with a tranquil & intimate master retreat privately tucked away, cozy fireplace, a deep soaking jetted tub, a separate shower & oversized walk in closet! This is one of the most desirable home floor plan as it boasts 1 bedroom conveniently located downstairs with an adjacent full bathroom perfect for guest room, in-law quarters, or your older kids, PLUS a huge loft upstairs! BONUS FEATURES that will convey with the sale of this home is the kitchen's stainless steel refrigerator AND garage fridge, washer AND dryer, AND whole house Culligan water system!! Located conveniently to everywhere, hurry & offer as this one won't last! Once you see this home, you won't want to see any others! Fantastic well-kept 4 bedroom + office/den home with POOL/SPA. Locate in the highly coveted area of Paseo Del Sol. Step inside and immediately admire the gorgeous tile flooring that adorns the formal living/dining room area. Upgraded baseboards, plantation shutters and ceiling fans in many rooms. A Quiet Cool whole house fan also helps keep the temps ideal. Lovely kitchen is all you could hope for with crisp white cabinetry, granite counters in a beautiful color, an island with storage, pantry, stainless steel appliances, tile back splash, recessed lighting and soft close drawers. Open to the kitchen is a family room with cozy fireplace, media niche space that can accommodate a huge TV, and easy backyard access to the pool. Admire the bamboo flooring as you make your way upstairs that carries into the master bedroom through a double door entry will you will find neutral paint, dual sinks, separate tub and shower, walk-in closet and more! There are 3 more bedrooms upstairs and they're all convenient to a full bathroom. Enjoy the beautiful Temecula days poolside in the backyard that also has a spa, water features and a patio with a cover. There is an artificial grass area, palms, flowers and best yet there are no rear neighbors. All this topped off with a 3-car garage and inside laundry room. Paseo Del Sol offers a clubhouse, pools, spas, parks, tot lots, walking trails, sports courts and more! Top notch schools! Beautiful Running Springs, minutes to Arrowhead and Big Bear. 6 bachelor units. 5 fully rented, 1 AirBnB. Located right on the main highway to Arrowhead. This is a rare opportunity for the first time or small investor to acquire a fully operational income producing complex with great upside. Call for financial information. Hurry, this one will not last. Great 1031 exchange property. Paseo Del Sol beauty! This eco-friendly home is 4 bedrooms and 2.5 baths and is absolutely TURNKEY! From the "Pottery Barn" styled interior to the numerous upgrades throughout, not an area went unnoticed in the design and features of this home. As soon as you enter in the front door, you are immediately captivated and taken away by the cool palette throughout the home to a calm and serene environment. Light and bright throughout with a feeling of home, yet the owners live in such a way that it does not even quite feel "lived in" yet. Custom rear and front yard landscaping complete with planter beds ready for your spring crops and a custom stone walkway that was created by hand! Set on a large 10,000 square foot lot, you have plenty of room to build a pool as well as anything else your heart may desire. Don't want the responsibility of a pool of your own? Go to one of the community pools Paseo Del Sol has to offer! This home was designed with a very modest cost of living in mind! Perhaps the biggest savings is the 10 solar panels that are completely paid off! The average electric bill for the current owners for the entire YEAR is just around $200. Paseo Del Sol has one of the lowest tax rates of any community in South Temecula. Located on a private and unique double cul-de-sac street where you can let the kids play safely and freely, come see this home today as it will most certainly be gone too soon! LOW TAXES! LOW HOA! GREAT COMMUNITY! Welcome home to 32182 Camino Seneco! As you enter, you will be welcomed by the spacious formal living and dining areas which are highlighted by an abundance of natural light, soaring 2-story ceilings, and upgraded tile flooring. The entertainer’s kitchen offers granite countertops, a large kitchen island, a cozy breakfast nook, and flows to the generously sized family room appointed by an upgraded stone fireplace, wood laminate flooring and a single French Door, granting access to the low maintenance backyard which is highlighted by artificial turf, a stamped concrete patio, a separate flagstone sitting area, and a stone retaining wall. Back inside, the main floor additionally offers a bedroom with French Door entry, a full bathroom, and the laundry room, offering access to the oversized 3-car garage. On the second level of the home you will find 2 secondary rooms, a secondary bathroom with dual vanities, a spacious loft area plus the Master Bedroom offering a French Door entry, vaulted ceilings, a large walk in closet and a spacious master bathroom featuring dual sinks, a soaking tub, and a separate shower. Located in the Vintage Hills Community offering it’s residents resort like amenities including: two community pools, tot lots, a baseball diamond, sports courts, and a large clubhouse plus just minutes from Distinguished Temecula Schools, award winning Temecula Wineries, shopping and dining this is a home that you don’t want to miss! LOOKING FOR A QUICK CLOSE? Sellers have no contingencies and can close in 30 days or less! **24 PANEL SOLAR SYSTEM INCLUDED!! ** BEAUTIFUL, VERY OPEN SINGLE STORY ON A CORNER LOT IN HERITAGE LAKE! 4 bedroom, 3.5 bath home with 2,892 s.f. of living space, 3-car tandem garage and California Room. Large open Great Room includes a built-in media center with beautiful electric linear fireplace. Gorgeous kitchen has it all - oversized kitchen island, Whirlpool stainless steel appliances with built-in oven, 5-burner cooktop, microwave, and large walk-in pantry. Master bathroom suite has extra large walk-in tiled shower, dual sinks and large sunken tub. Private secondary bedroom/bath is perfect for a mother-in-law suite. Upgrades include laminate wood floors, built-in bookcase in office, paneled wall in dining room/nook, dark maple cabinetry, recessed lighting, tankless water heater and dual zoned air conditioning unit. Low maintenance back yard includes California Room, new artificial turf, decomposed granite and large side yard. Heritage Lake’s clubhouse with Jr. Olympic sized pool, splash park, 25-acre lake with paddle boating, catch/release fish, and walking trails are all included for the a very low $70 per month. Several parks and local schools are all within walking distance! SELLER IS MOTIVATED, BRING YOUR OFFER!! NO CONTINGENCIES, your buyers can move right in before the New Year! Welcome home to 28718 Edenton Way!! As you enter, you will be welcomed by the tile appointed main floor entryway lending to the downstairs half bathroom and flowing to the front sitting room which is appointed by recessed lighting, 3 large windows, and offers a great area to use for either formal entertaining or a play area. The open kitchen is appointed by granite countertops, a deep sink, stainless steel appliances, a vast amount of counter and cabinet space and flows to the eat-up bar and breakfast nook which offers a variety of seating when dining and overlooks the spacious backyard featuring a concrete patio and a large grassy area for play. The spacious family room is highlighted by a gas fireplace and numerous windows creating an abundance of natural light and offering views into the backyard. Ascending upstairs you will find 2 large secondary rooms, a secondary bathroom with a shower tub combination, a large laundry room, and the oversized master bedroom with an attached master bathroom offering a walk-in closet with glass doors, dual vanities, a large jacuzzi tub, and a separate shower. Located in the charming Harveston Community offering it’s residents resort like amenities including: a 17 acres lake, multiple parks and play areas, a Community Clubhouse, a Junior Olympic sized pool with splash park, and a 19-acre sports park, plus conveniently located near shopping, dining, freeway access, and entertainment this is a home that you don’t want to miss. Lovely family home with great curb appeal located in the highly desirable Cashel Glen neighborhood. It has four bedrooms and three bathrooms and no neighbors behind as it overlooks a flood control channel with walking path (greenbelt). One bedroom and bath is conveniently located downstairs. It has the added benefit of an enclosed sunroom (permitted) with newer carpet and a new roof, and an inside laundry room. It’s many amenities and upgrades include the following brand new items: air conditioner, heating unit, thermostat, water heater and water pressure regulator. Newer improvements include ceiling fans throughout, Kohler toilets, a 36” 5 burner cooktop, newer dishwasher, refrigerator (stays with house), wall oven and microwave combo, garbage disposal and faucet. Master bathroom has a newer shower enclosure. A section of the three car garage is currently being used as a workshop but can also be used for parking. This immaculate home has been beautifully maintained and it has no Mello-Roos and no HOA. It has a lot of amenities for a very reasonable price! Don't miss seeing it! This adorable, single level home located in the beautiful neighborhood of Paseo Del Sol in South Temecula offers 3 full bedrooms, 2 full bathrooms, indoor laundry room, a 2 car garage, a spacious front porch, large pergola off the back patio, new ceramic (looks like wood) tile flooring, cozy fireplace & faux wood shutters. This home is extra clean & located in a low tax area. HOA includes parks, pools, gyms, tennis courts, basketball courts, volleyball court & walking trails. 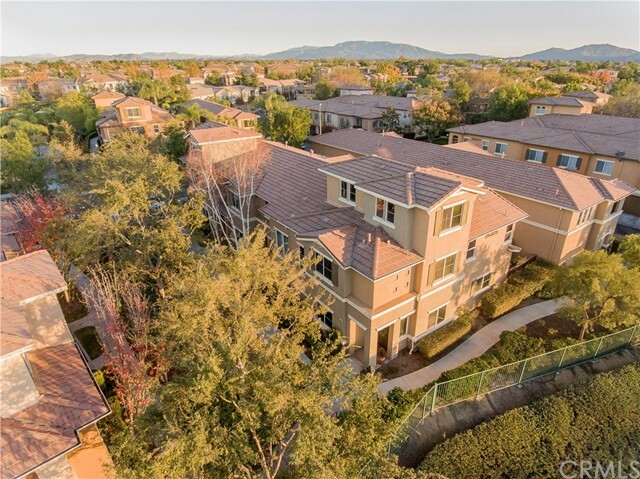 Close to Abby Reinke Elementary school, Restaurants, Shopping, Wineries, Casinos, Temecula Hospital & the 15 freeway. Accepting back up offers. Welcome home to Clover Creek Ln. Low TAXES & No HOA!! This darling TURNKEY 3 bedroom, plus office home is everything you are looking for. Exterior has just been freshly painted. Interior boasts hardwood flooring. If you love entertaining you will fall in love with the open concept floor plan and kitchen. Beautiful granite counters with black stainless steel appliances. 5 burner stove. Over sized island with plenty of seating. Custom cabinetry with soft closing cabinets & drawers. Master walk-in closet. Master bath and secondary bath both have been updated with granite counters. The backyard has a large patio cover, natural gas fire pit and built in BBQ. Wonderful location that is walking distance to La Ladera Park. Gorgeous view of the hills from your front porch. Huge 20 panel solar system to keep you cool year round. Priced reduced 20K! Pool and Spa home under $350K in Temecula! 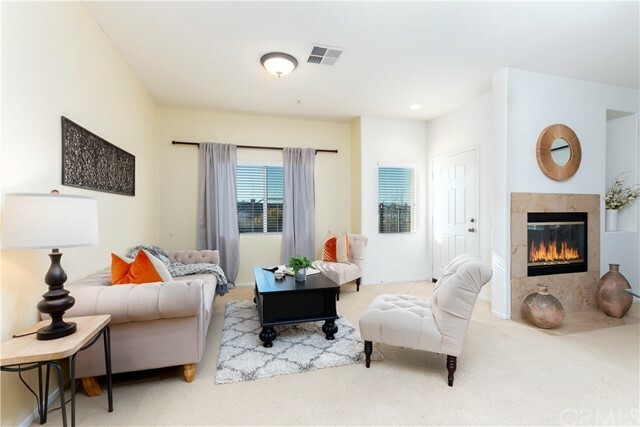 Easy access to amenities and freeway in the heart of Temecula! This darling single story is loaded with charm. Tile Flooring throughout. Upgraded fireplace surround with wood mantel and gas logs. High ceilings. Skylights in great room. High vaulted ceiling in Master Bedroom. Master Tub/Shower has been refinished with new fixtures. Second bath has upgraded cabinet and sink with mirror. Title shows 3 bedrooms however there is no closet in third room being used as a large office/Den. Double french glass doors into office/den. Front bedroom has an area for a small courtyard of it's own. These homes have character and charm. Located off of Rancho Calif. Rd.makes it easy to get to amenities, freeway and Wine Country! Backyard has view. This home is located in the community called The Villages. Low assessments. START THE NEW YEAR OFF IN YOUR NEW HOME!! LOW TAXES!! GREAT SCHOOLS!! Charming Murrieta home offering 3 bedrooms, 3 bathrooms, and over 1400 square feet. Welcome home to 28388 Triese Street!! The family room welcomes you as you enter and is appointed with tile flooring, a cozy gas fireplace, and an abundance of natural light! The tile flooring flows through main level of the home and accents the spacious dining room which opens to the chefs kitchen featuring stainless steel appliances, granite countertops, and ample counter and cabinet space. Access to the low-maintenance backyard featuring a stamped concrete patio is granted via the single French door off the dining room. Stepping back inside the main floor additionally offers a powder bathroom, the laundry room, and a built-in desk area. Ascending upstairs you will find 2 spacious secondary rooms, adjoined via a jack and jill bathroom featuring dual vanities and a separate shower/ tub combination. The spacious master bedroom offers a walk-in closet, a roomy master bathroom appointed with tile flooring, granite countertops, and dual vanities. Located in the Skyview Ridge Community offering it’s residents a sparkling pool and bubbling Jacuzzi plus close to shopping, dining, entertainment, and highly rated Murrieta schools, this is a home that you don’t want to miss. Schedule your private tour today! UPGRADES, UPGRADES, AND MORE UPGRADES!!! This 2008 manufactured home located in the Spring Knolls 55+ community has true pride of ownership. The home features 3 bedrooms, 2 bathrooms, and boasts just over 1,500 square feet. When you enter in to the property, you are greeted with high ceilings, and new LVP flooring. The large living room is open to the dining room, making it an entertaining space. Kitchen has been upgraded with stainless steel appliances, new deep farm sink, and refinished cabinets. Gorgeous built ins are located in the dining room allowing for more storage. All three bedrooms have the LVP flooring, new ceiling fans, and the whole house was painted within the year. The master bedroom includes a nice size walk-in-closet. The master bath has a walk in shower with two shower heads, and dual vanities. The homeowners recently put in brand new blinds throughout the whole home keeping it nice and cool during the hot summer months. The whole outside of the home was just recently painted, vinyl fencing installed, and a brand new driveway was just poured! In the backyard, a brand new alumawood patio cover has been added, high quality artificial grass installed, and also has peek-a-boo views of the golf course. Walking distance to the pool and community center, and just minutes from shopping centers. This fantastic single story home is ready for you to Move In! It has many upgrades include wood laminate flooring, brand new carpet, new paint, ceiling fans in all rooms, 6” decorator baseboard, and whole house fan for energy efficiency and cool system in family/dining room off the kitchen. The back yard is private with low maintenance, aluminum patio cover and patio door off the master bedroom. Close to the elementary school, shopping and easy access to the freeways. Low tax rate and no HOA. Prefect for your wonderful family!!! Great single story home on 20,038+ sq. foot lot. Back on the MARKET!! Buyer could not perform...Beautiful single story Mission Hills Home! 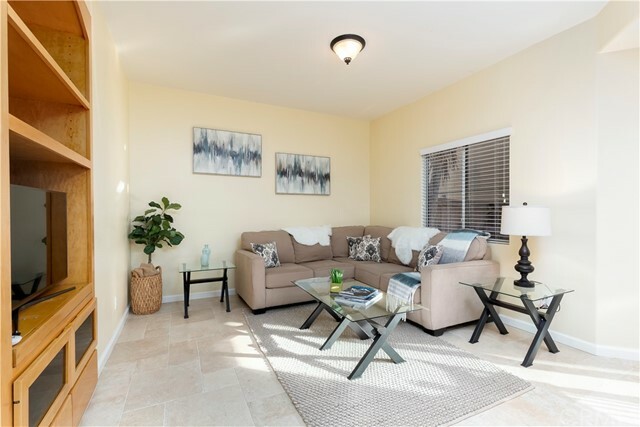 This single level condominium home features high vaulted beamed ceilings, open floorplan and two master bedrooms. Master suite has separate bath vanities and closets plus separate oversized tub and shower. Oh and don’t forget a Fireplace!! Second master is a perfect size for your guests and has a walk in closet. Master bedrooms are a split plan for privacy when entertaining. Family room has a wonderful bright and open feel, featuring yet another fireplace and wet bar! 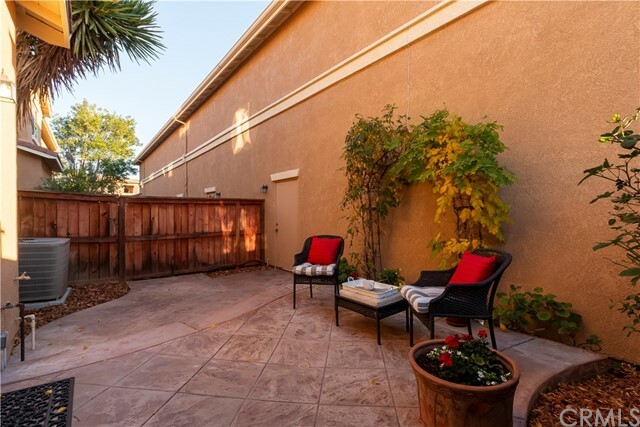 Your own personal private fenced courtyard is the perfect place to relax, BBQ or entertain guests. Double garage is detached and has lots of storage space. Mission Hills is a guard gated community offering beautiful Golf courses, tennis, pools, fitness center, the list goes on!! Don’t miss this wonderful opportunity to own in the Mission Hills Country Club!!! Adorable, 3 bedroom, 2 full bathrooms, almost 1600 square feet home that sits in a prime location with beautiful views of the mountains, this Hanson area property has a huge, open great room that is of course, fantastic for entertaining! The floor plan showcases a spacious kitchen with granite countertops and vaulted ceilings, making this home feel very spacious! Down the hall you will find laundry room with deep sink, 2 roomy bedrooms and the master with relaxing SPA TUB and generous walk-in closet! What more could a girl ask for? The lot is large, flat and usable with plenty of space for everything you could need, plenty of parking, attached 2 car garage is 500 sq ft, extra long, fully finished, and plenty big enough for your truck, small boat or ATV and motorcycle storage, and the yard is fenced to the South side! This gem is located in the heart of 29 Palms which is becoming an ever popular and growing recreation area, just minutes to Joshua Tree National Park, 29 Palms entrance and park headquarters and of course the 29 Palms Marine Base, take advantage of this opportunity while homes in this area are still affordable! Please hurry and show! 6.59 acres in beautiful La Cresta Highlands. This is your chance while land is cheap, under $26,000.00 per acre. 1000 foot frontage on a paved road. Utilities are at the street. Mature oak trees, views in every direction, multi-million dollar homes dominate the La Cresta area. This parcel backs to the Cleveland National Forest which provides for much privacy. This parcel will accommodate an estate size home, barn, corrals, pasture, arena, and more. Riding and hiking trails abound in this area. A dream come true. Hurry or you will miss a tremendous opportunity on this gorgeous parcel. *** Priced to sale *** Beautiful newly remodeled Corona 2 bedrooms, 2 bathrooms mobile home located in a quiet gated community. Freshly painting and beautiful laminate flooring throughout the house.The office has built in desk and shelving or that could be removed and converted into a 3rd bedroom. Master bedroom has its own master suite with mirror closet doors. Rooms have a sloped ceilings that make the rooms feel larger. Plenty of windows surround each room to bring in a lot of natural lighting. Well maintenance kitchen has a breakfast counter for those informal meals, built-in range, oven,dishwasher and garbage disposal, it is open to a very large family room with a fire place for those cold nites. A Central A/C and heating. This home has the largest grass side-yard. Large porch enclosed to a big sun-room, covered carport area with room for 2 or 3 cars and a shed for your storage needs. Located near schools, shopping centers and 91 freeway access. The prestigious Countrywood Estates offers a library, billiard room, pet friendly, the community clubhouse, swimming pool and spa for your recreational use. Lovely manufactured home located in a great all age park. Featuring 2 bedrooms 2 baths and its own laundry room. Nice sized fenced back yard---to entertain or for a pet. Hurry this one will go quick. Newer A/C Furnace, laminate flooring, Water Heater, and interior/exterior paint. So many pluses-- all it's missing is YOU! Business space 1350 sq. ft. in beautiful Chestnut Center, one of Beaumont's finest centers. Mostly medical tenants currently. Convenient to freeways and close to San Gorgonio Memorial Hospital and Loma Linda University Health Center.